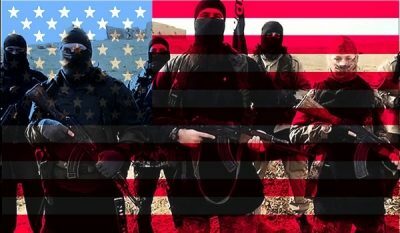 In war theaters where ISIS operates, America supports the scourge it pretends to oppose, along with al-Nusra and other terrorist groups. An often used tactic involves relocating ISIS fighters from one area to another – last year from Mosul to Syria, currently from Raqqa to elsewhere in the country. Regime change, replacing Assad with pro-Western puppet rule, destroying Syrian sovereignty, and isolating Iran ahead of plans to oust its government remain key US/French imperial goals. Their strategy throughout years of war remains in place. Tactics alone changed. On Thursday, Sergey Lavrov said Russia’s policy on Syria strictly adheres to international law and Security Council resolutions. They clearly affirm the right of the Syrian people to decide the fate of their country, Lavrov stressed. Bipartisan US hostility toward Russia makes improved relations unattainable. Trump is captive to dark forces running America.